Houston Area Glass Etching Best of Houzz 4 Years Running! We are full sevice residential and commercial glass replacement company serving all of metro Houston. Call for a free, instant quote 832-704-4758. We are located in the Great State of Texas, near Houston. Sandblasting glass of all of kind is our passion. We work with Designers, Builders and Architects for both residential and commercial applications. We work with homeowners as well. Our designs are original and unique to each commission. If you already have a design in mind we will work with you to customize the drawing in glass. Please call so we can schedule some time to sit down and create your perfect piece. 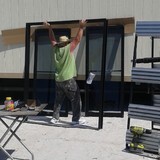 Houston Texas's Premier Window Sales & Installation firm. Specializing in custom windows, window repair as well as shower doors. Serving the greater Houston Texas area. Quality Glass can fulfill all your window and shower door needs! 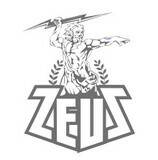 Zeus Glass and Mirrors is a company in development for the past 5 years in Houston TX area with only the best service possible. Our clients come to us because we have excellent reputation for custom glass-work and customer satisfaction. We offer highly personalized service that will meet the unique standards of your project. Zeus Glass and Mirrors specializes in custom-cut mirrors and frames; antique mirrors; beveled mirrors; mirrored walls; frameless, semi-frameless, and framed shower enclosures; custom-cut glass; beveled glass; tinted glass; antique glass; glass shelving; storefront and commercial glass; residential glass; curved glass; glass curtain and partition walls; glass railing and staircases; safety and security glass; and more. Whether you are creating the perfect home yourself or using an interior designer, we will work with you to ensure that your project has the best glass and mirror options available. Great value at a great price. FREE ESTIMATE!! Over 200 five star reviews , Our Services are a cut above the rest. BAB Glass and Mirror is a professional, frameless glass door design studio, specializing in unique shower door designs and solutions. We provide a full consultation to explain available options so that you can choose the service that’s right for your home or business. We strive not only to meet your project's needs, but also to prevent potential problems in the future. At Absolute Glassworks, our in-house glass and fabrication shop gives us the opportunity to provide customized glass designs and solutions for just about every type of need. From unique glass shower enclosures, to glass stairway railings, to glass fencing for the backyard pool, there is no job too challenging for our team! Our experienced glass consultants can guide you every step of the way to make sure your glass solutions provide beauty and durability for years to come. Call us today for a FREE consultation! At Blueprint Frameless Showers, we strive to provide a product that is both aesthetically pleasing and competitively priced. Whether you have recently remodeled or are simply looking to upgrade your bathroom, we can help you design and install an all glass, frameless shower enclosure. Auto, Residential and Commercial glass sales and installation, windows, insulated glass replacement, mirrors, tabletops, shower and tub glass and enclosures. We also offer full commercial glass, storefronts and glass hurculite systems. The solar control division offers tint, solar screens, motorized and manual retractable shades and blinds. Desola Glass, Art & Frame Gallery, Inc.
Full Service Glass Company, specilizing in Frameless shower Enclosures and Custom Picture/Art Framing. 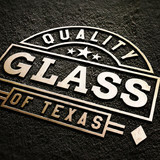 Located in both Galveston and Pearland, Texas, McCauley Glass is one of the oldest and most established glass companies serving the greater Houston area. We've been providing the highest quality installation and service of residential, commercial, and shower glass products for more than 25 years. To stay in business this long you have to do things right the first time…and you have to satisfy even the most discriminating customers. Our reputation is everything to us and we have worked very hard to become the dependable first choice for area homeowners, business owners, and contractors. What can a local Pearland glass company help me with? If it’s a major home glass repair or replacement, the Pearland glass company should work directly with your insurance company to help bring down costs for you, if applicable. Can you give me a written estimate? How long have you been in the glass and mirror business? When can this job get done? Will we need to be out of the house? If so, how long? Find Pearland glass companies on Houzz. Narrow your search in the Professionals section of the website to local glass, mirror and shower door services in Pearland, TX and read reviews and ratings to find one that fits your needs.